Three shots rang out from Dealey Plaza in Dallas, Texas, the afternoon of Nov. 22, 1963. Those fatal shots killed President John F. Kennedy, wounded the American spirit and left many burning questions — some of which may soon find answers. The National Archives’ plan to declassify documents regarding the Kennedy assassination by Oct. 26 has scholars and the American public buzzing. Some, including prominent analyst and political scientist Larry Sabato, are predicting significant negative fallout from the release. Arguments range from released documents providing fuel for conspiracy theories to compromised national security. Despite arguments to the contrary, the imminent release of these documents is a long overdue act of transparency. And the only person who can legally halt the release — President Donald Trump — should recognize that. Far from encouraging instability, transparency is exactly what is needed to put the debate surrounding the JFK assassination to rest. 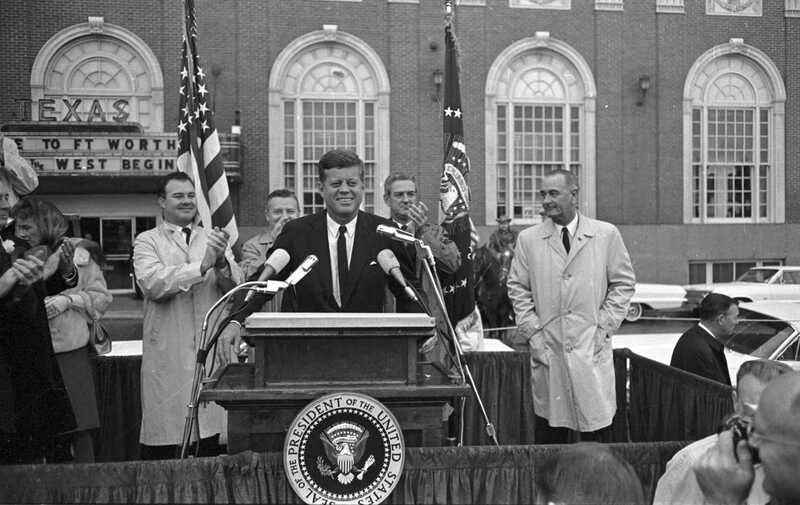 This month’s planned disclosure is the result of a law — the President John F. Kennedy Assassination Records Collection Act of 1992 — which required all documents related to the Kennedy assassination be released within 25 years of the law’s passage. But the legislation also allowed for a president to halt the documents’ release for security reasons. Concerns that Trump might use these reasons to prevent the release spurred a rare act of bipartisanship in Congress. Members of the House and Senate introduced a resolution Oct. 4 calling on Trump to release all relevant documents by Oct. 26. The House resolution is led by House members Louise Slaughter, D-N.Y., and Walter Jones, R-N.C.
“I believe the American public needs to know the truth,” Jones told Fox News in an interview late last month. While Jones — who has allied himself with political strategist and JFK assassination conspiracy theorist Roger Stone — might sound like he’s wearing a tin foil hat, his allies in the Senate cite more pressing concerns. Along with Sen. Pat Leahy (D-Vt.), prominent Senate Republican Chuck Grassley (R-Iowa) considers the request more an act of government accountability than anything else. Transparency in government — Grassley’s main concern — is essential for democracy to exist. Moves toward transparency increase government accountability and allow citizens to better educate themselves about the workings of their own government. This helps build a better relationship between the rulers and the ruled. However, this act of transparency doesn’t have universal support in Washington, D.C. The Central Intelligence Agency has neither confirmed nor denied support for the release of the records, issuing a statement to the Associated Press simply stating the agency “continues to engage in the process to determine the appropriate next steps” in any potential future release. But disclosing all remaining information is the appropriate next step, even from a national security perspective. Former Assassination Records Review Board Chairman John Tunheim, who kept classified many records relating to the 1963 killing while in office in the ‘90s, doesn’t see a security concern with releasing the remaining documents now. Legitimate concerns about full disclosures might have existed for intelligence agencies in the early 1990s. But with the Soviet Union long dissolved and most, if not all, American spies and informants involved in relevant events no longer alive, so much has changed that it’s unlikely transparency on the issue would endanger lives or investigations. Releasing these documents allows fresh scholarly and investigative minds new insights on a tragic day. Who knows — maybe the documents will vindicate Trump’s claim during his campaign that rival Sen. Ted Cruz’s (R-Texas) father was involved in the assassination. Without full information about the assassination, Americans have had to fill the gaps with various theories. According to a 1998 CBS News poll, a shocking 74 percent of Americans said they believed “there was an official government cover-up” of the assassination. By comparison, only six percent of Americans said they believed vaccines cause autism in a 2015 Gallup poll, and seven percent believe the moon landing was faked, according to a 2013 Public Policy Polling questionnaire. The Kennedy assassination marked the beginning of a progressive loss of Americans’ trust in their government — only 20 percent say they trust the federal government today, as opposed to 77 percent in 1964, according to polling from the Pew Research Center. Releasing the documents would help debunk outlandish theories and move to restore some of this lost faith. The irony of the planned JFK document release is apparent in its biggest backers outside Congress — Stone, who wrote a book claiming former President Lyndon Johnson planned the killing, and Gerald Posner, a historian who vehemently supports the “official story” of the assassination. Though they might be a political odd couple, they’ll have to work together to uncover the truth. Ben primarily writes about American politics and libertarian issues for The Pitt News. Write to Ben at bps29@pitt.edu.